Life is Feudal: Forest Village is a feature-rich, town building simulator strategy game with engaging survival aspects. Lead your people: a small group of refugees who were forced to start again on an unknown island. Terraform and shape the land and expand with houses, pastures, orchards, farms, windmills and many other buildings. Forage in the forest, hunt for prey, grow crops and domestic animals for food. As Winter creeps up, ensure you stock up with enough firewood, charcoal and warm clothes to survive, and remember: a lack of vitamins in good rations may lead to disease and could even totally wipe out your village! 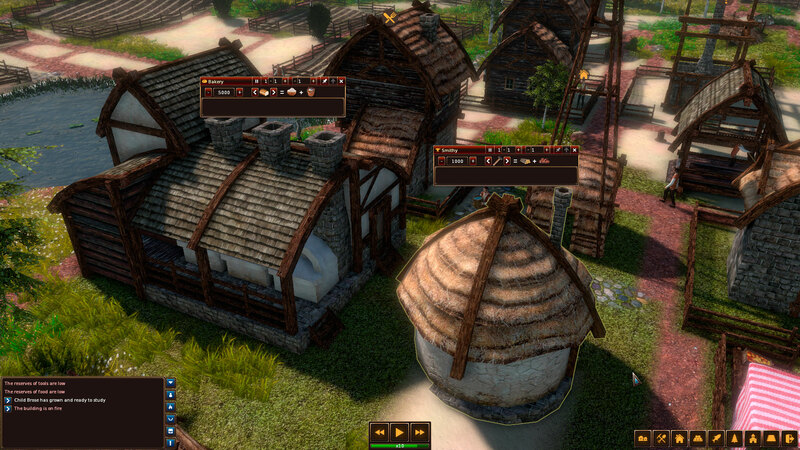 You can oversee your village from a birdseye view or occupy one of your villagers to control and perform tasks in a first person view to speed things up or just to explore. – Switch between birdseye and first person views. – Diseases, food rations and vitamins. – Real time weather and seasons system. – Morale and increasing population.